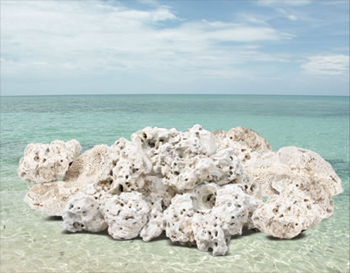 Nature's Ocean® Base Rock is 100% premium all natural aragonite rock covered with naturally formed holes and crevices which makes for some very interesting and unique shapes and is easy to stack when creating a base for growing live coral or as an addition to existing coral-based ecosystems. This porous characteristic provides a natural biological filter as well as a perfect environment for denitrifying marine bacteria to grow and flourish, which effectively reduces nitrates in your tank. Nature's Ocean® Base Rock for culturing live rocks is the logical choice for aquarium hobbyists, whether you are in the business of coral farming or aquascaping, creating the optimal natural environment is key to growing and maintaining healthy corals. Nature's Ocean® Base Rock is deepwater soaked to prevent leeching and then cleaned and cured by a specific drying process to create an inert or "dead" rock free from organics with the exception of naturally occurring dust during transportation. Nature's Ocean® Coral Base Rock is 100% adaptable to existing systems because it is inert and WILL NOT cycle your tank. 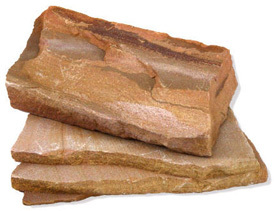 Another great benefit of dry or inert aragonite base rock is that it HAS NO BIOFILM, which tends to repel new cuttings and discourage algae reproduction. 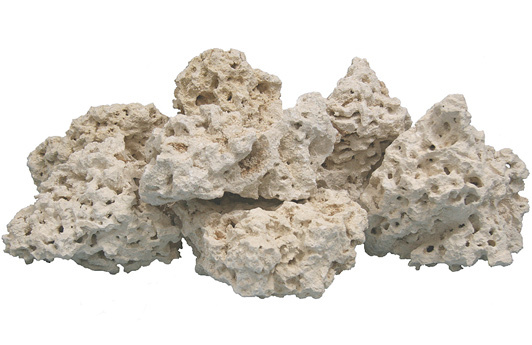 Nature's Ocean® Base Rock is available in a variety of sizes ranging from 4 inches up to 8 inches, which can be arranged in a variety of aquarium decorations After a relatively short period of time, Nature's Ocean® Base Rock will begin to recruit life forms from existing live coral or live sand. You will begin to see a variety of marine life including Coralline and different invertebrates begin to colonize and reproduce on and within the rock. To speed up the colonization process, Bio-activ Live® sand or substrates, which contain millions of live bacteria, can be used in conjunction with NutriSeawater® in order to assure optimal results in establishing a healthy reef system. 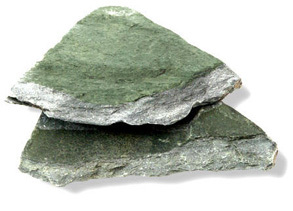 One distinct advantage of using Nature's Ocean® Base Rock over most live rocks is that you are virtually assured of starting out with dry cured rocks that are free of pests and nuisance algae that can retard beneficial algae propagation. Using live rocks will be more expensive than dry or inert rocks and run the risk of introducing pest bacteria to an established system. Nature's Ocean® Base Rock for culturing live rocks is a very eco-friendly alternative to using live rock, which is often harvested from live coral reefs disrupting the food chain and natural habitat of marine animals. 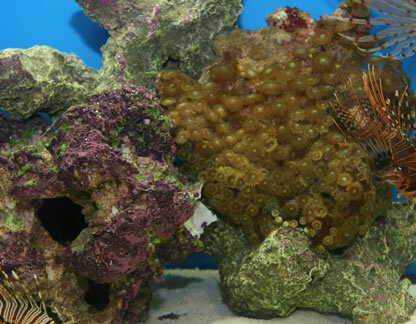 Live coral reefs can be cultured or grown from coral base rock by placing live coral fragments or cuttings in or around coral base aquarium rock. A similar process of culturing live coral is by "seeding" the coral base aquarium rock with live substrates or live sand which contains small live coral fragments and tiny marine animals that can flourish within the pockets cavities of the base rock. 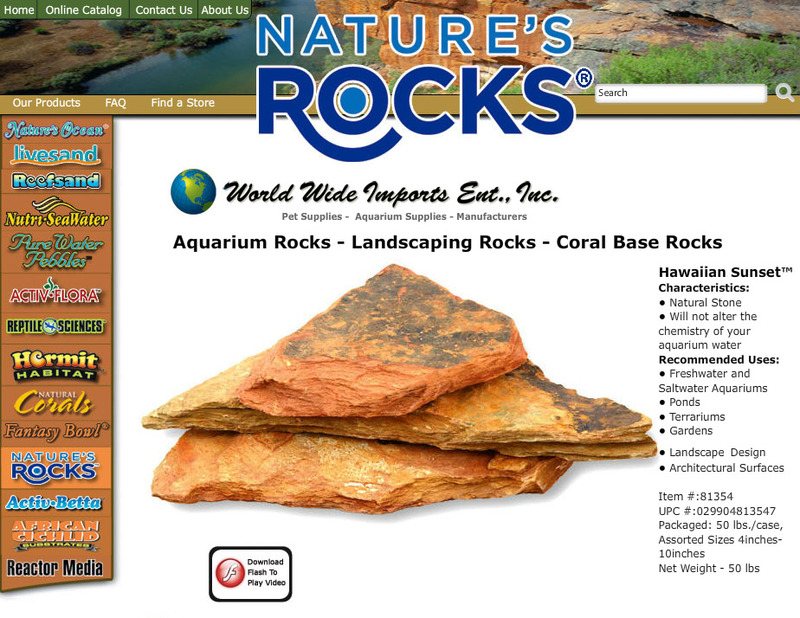 Nature's Ocean® Base Rock can also be used for Aquarium Decorations and Terrariums. 1. Question-What is coral base rock? Answer: Base rock is a common term used for aragonite rocks which have no bacterial organisms or coralline algae growing in or on the rock. Base rock is often used to cultivate live rocks and to help maintain live corals in reef farms, reef tanks and fish tank aquariums. 2. Question-Where does our coral base rock come from? 3. Question-How does our dead base rock turn in to live rocks? Answer: When salt water rock culturing, our base rock is colonized by bacteria, worms, algae, and crustaceans; during this process the transformation from dead rock to live rock begins. It may take some time but it will happen when the conditions are right. (See answer 4 for more details). 4. Question-How long does it take dead base rock to turn into live rocks? Answer: When saltwater rock culturing you want to make sure that your rock base structure is properly secured and with the right amount spacing to allow the water to flow smoothly. (See answer 7 for more details.) Some of these factors will help to insure the rock culturing process a success. 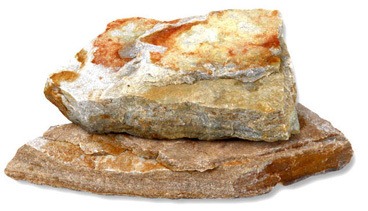 With our base rock there is no worry about harmful bacteria being introduced to your saltwater aquarium and our base rock makes a smooth transition from dead rock to live rocks. As for how long, this process may take anywhere from 3 weeks to 90 days. 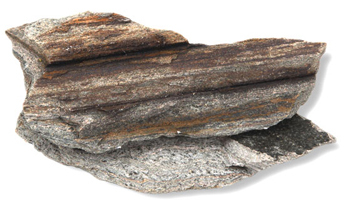 One factor that contributes to the variation in time depends upon how many pores your dead rock may have and the amount of life that populates the rock before it is called a live rock. The more pores the more areas for beneficial bacteria to grow. 5. Question-How is the price calculated for coral base rock? Answer: Our special hand picked base rocks' prices are calculated by the pound. Our shipping and handling rates may vary depending upon where the product is being shipped to and the quantity being ordered. We ship to any where in the United States, Canada and most parts around the world. Please contact sales@naturesocean.com for more information. 6. 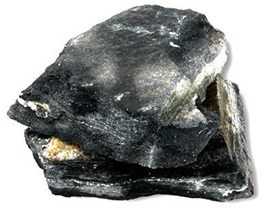 Question-When saltwater rock culturing how much base rock do I need for my fish tank? Answer: When saltwater rock culturing some rocks may soak up more fish tank water than others but as a basic gauge we recommend using about 1 lb of base rock for every gallon of salt water added to your fish tank. For reef tanks we recommend to add more base rock per gallon of saltwater. 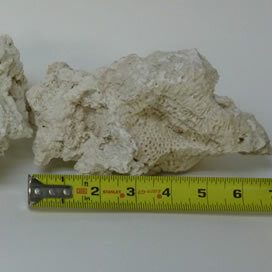 For the reef tank it may vary depending upon the look that you are going for but as a basic gauge we recommend 2 lbs of base rock for every gallon of saltwater in your reef tank. 7. Question-When I get my base rock how do I add it to my fish tank? Answer: After you have checked your tank and it is properly sealed you are ready for saltwater rock culturing. First place the biggest pieces on the bottom and the lighter more branched pieces towards the top. Stack them up neatly and securely while creating your own imaginary reef structure. You do not want to have the rocks lay up against the back wall of the tank that may interfere with the water flow. You want to make sure that there is at least 2 inches of space in the back, front and sides of your base rock in the fish tank. 8. Question-What other products should I use when saltwater rock culturing? Answer: When saltwater rock culturing before you add the base rock we recommend using Live Sand or our Live Reef Substrates for the bed base then place your base rock on top. Use NutriSeawater when you are finish adding your base rock to the fish tank. NutriSeawater is Natural Live Ocean Saltwater, which is nutrient enriched and makes for a healthier aquarium.